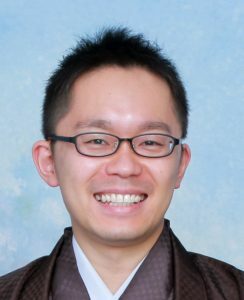 Shu earned degrees in Applied Chemistry from Waseda University, graduating with an MD in 2008. He has since worked for Toray Industries Inc as a research chemist in the Plastics Research Laboratory. He is currently a Senior Research Chemist, developing new technologies for producing super engineering plastics. While working with the Dove Group, Shu will research organo-based catalysis for step growth polymerisation of aromatic polymers. 1. Syunsuke Horiuchi, Daisuke Yamamoto, Shu Kaiho, Kohei Yamashita, Makito Yokoe, Keiko Osato and Koji Yamauchi. “Well-Controlled Synthesis of Poly (phenylene sulfide) (PPS) Starting from Cyclic Oligomers”, Macromol. Symp. 2015, 349, 9–20. 2. Takeshi Ibe, Shu Kaiho, Kenichi Oyaizu, and Hiroyuki Nishide. “Electronic Communication in the Formation of a Quartet Molecule 2,6,10-Tris[bis(p-methoxyphenyl)aminium]triphenylene”, Chem. Lett. 2010, 39, 356-357.